Until November 2018, Rio de Janeiro state representative and senator-elect Flávio Bolsonaro had the mother and the wife of a former police officer under investigation for commanding militia groups in the state, former captain Adriano da Nóbrega. Nóbrega had been expelled from the force and is a fugitive. His mother Raimunda and wife Danielle resigned from their positions after a request from senator Bolsonaro, one of the president's four sons. Each of them made around R$ 6,500 (US$ 1,700) per month. Raimunda is one of Flávio Bolsonaro's aides cited in a financial surveillance report that identified atypical bank activities from another Bolsonaro aide, Fabrício Queiroz. According to the report, she would have transferred R$ 4,600 (US 1,200) to Queiroz' bank account. 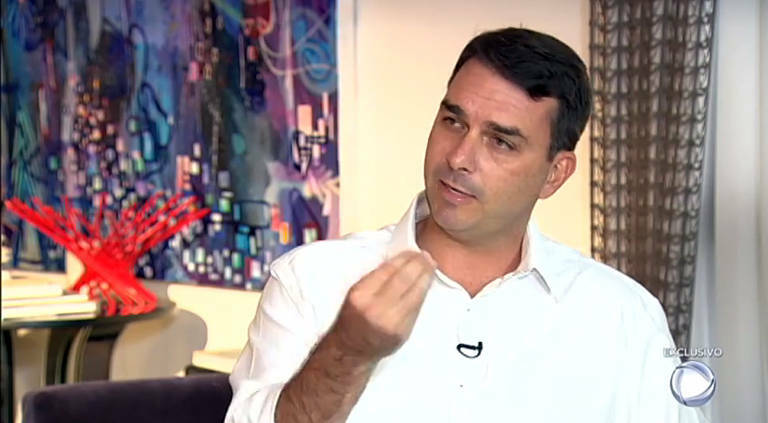 Bolsonaro's press representative said that Raimunda was referred by Queiroz, a retired police officer under investigation of money laundering, for the position. Flávio Bolsonaro is not under formal criminal investigation, but he is being investigated for misconduct. Queiroz is suspected of retaining a portion of Bolsonaro's aides' wages as a kickback. The senator-elect denies it.